Availability : No longer available. 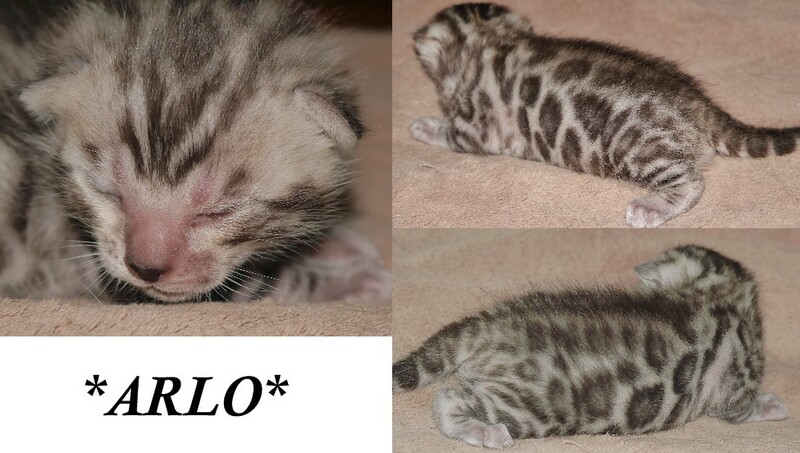 Arlo is going to be a nicely large rosetted silver boy with a very contrasted pattern. 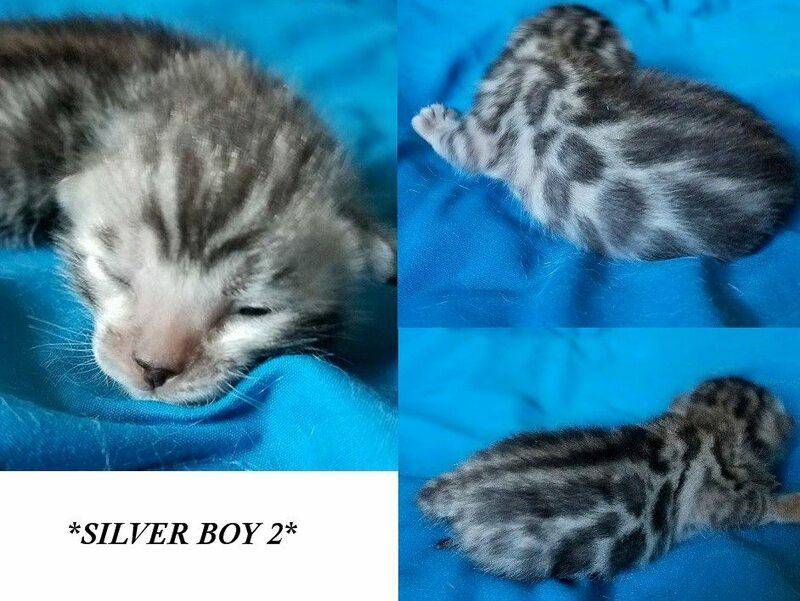 I can’t wait to watch both he and his brother develop! Arlo’s rosetting is starting to open up more and more each week! If you would like to receive updates on this or any of our other kittens, please sign up to be added to our newsletter and notification list. If you have any questions please feel free to contact us. 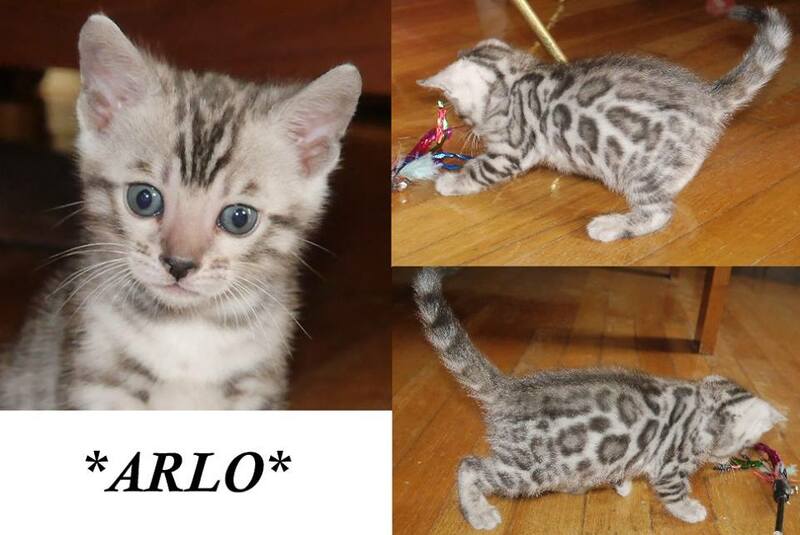 This entry was posted in Bengal Kitten Gallery and tagged Arlo, Bengal kitten, Male kitten, silver rosetted. Bookmark the permalink. Hosted by Computer Design & Repair | Online Bengal Shop .